01.BOY MEETS GIRL (Hydropump Refix) / Hydropump? 02.EZ DO DANCE (Yasterize Prizm Step Remix) / Yasterize? 03.ISLAND ON YOUR MIND(The LASTTRAK BassLine野郎 REMIX) / The LASTTRAK? 04.CRAZY GONNA CRAZY(鼓膜のクレイジーmix） / 鼓膜シュレッダー? 05.Enjo-Gのサバイバル・ダンス / BUBBLE-B feat. Enjo-G? 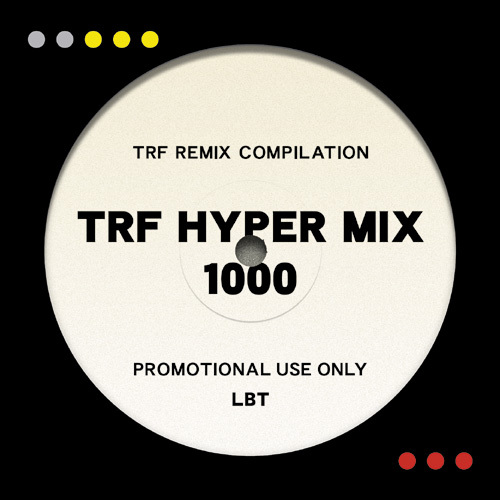 06.Impression of TRF(Loco Remix) / Loco? 07.FUNKY M （DJイオ jackin’ Remix) / DJイオ? 08.Overnight Sensation ?時代はあなたに委ねてる? (MC’s Hyperesthesia mix) / MISSILE CHEWBACCA? 10.SEE THE SKY?1999…月が地球にKISSをする? (Marc Panther is dead Remix) / kidogenki? 11.愛がもう少し欲しいよ (YUKI to YUKI cosmic renaissance remix) / ryu? 12.Happening Here(petank Remix) / petank?